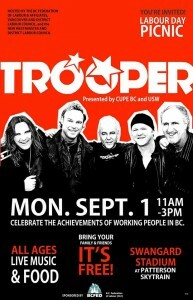 Come out and party in Burnaby on Labour Day! 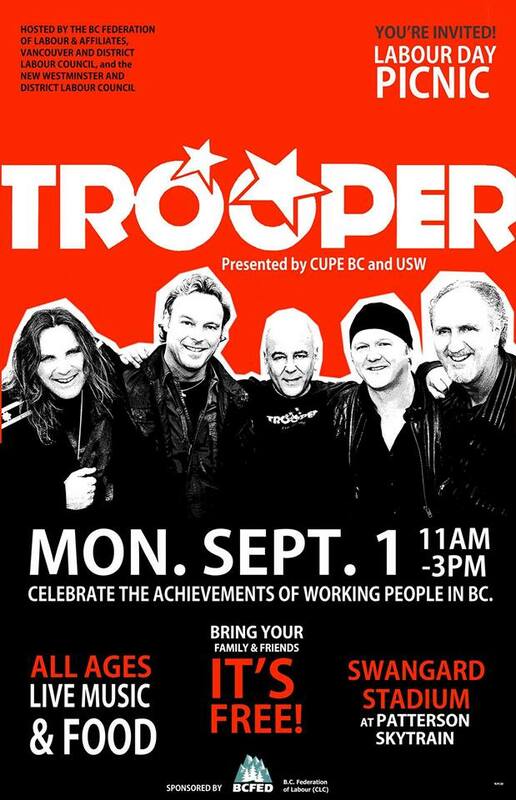 Hey CUPE 23 members, we’re *hosting* Labour Day this year – it’s in Burnaby at Swanguard Stadium. We’re looking for volunteers to help out with a variety of tasks including security, shucking & cooking corn at the CUPE BC trailer and children’s activities. Please contact the local office to volunteer & receive a special edition t-shirt to wear at the event. Show your Burnaby pride and come to hear some great music from our own Dan Kutin & his band Momentary Lapz. Oh yeah, and Trooper too. This entry was posted in event by Library Chair. Bookmark the permalink.